This One Is Really Move In Ready With Many Updates To Delight Your Buyers! Updates In 2019 Include Brand New Carpet, Interior Paint, Stove, Microwave, , Refrigerator , Security Alarm To Cellular And Vanity And Flooring In Second Bedroom. Heat Pump Replaced In 2016, Roof 2016 Plus Tile, Vanity And Flooring In Master Bedroom Replaced In 2017. Unit Is Located In The Back Of The Complex And Exterior Was Repaired And Painted In 2016. It Would Be Hard To Find A Unit This Nice At This Great Price! These statistics are updated daily from the Georgia Multiple Listing Service. For further analysis or to obtain statistics not shown below please call EasyStreet Realty at (404) 998-4059 and speak with one of our real estate consultants. Listing Courtesy of Chapman Hall Premier Realtors. 964 Wuthering Way, Norcross GA is a condo of 1317 sqft and is currently priced at $119,900 . This condo has 2 bedrooms and was built in 1989. 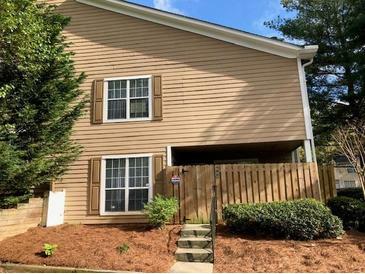 A comparable condo for sale at 5708 Cobb Mdw in Norcross is listed at $189,900. This condo on 964 Wuthering Way has not had a price change. In addition to condos, EasyStreet also makes it easy to find Homes in Norcross, GA. Mills Farm, Hickory Plantation and Brookside Commons are nearby neighborhoods. MLS 6531660 has been posted on this site since 4/6/2019 (12 days ago).